For distinguished service to conservation and the environment through advocacy roles for the protection and preservation of wildlife and significant natural heritage sites in Australia, as a supporter of scientific research, and to the Wildlife Preservation Society of Queensland. Member, Wildlife Preservation Society of Queensland, since ca1964; Life Member; current Patron. Founding Member, Gold Coast and Hinterland Branch, since 1960s. Active Member, Tully and District Branch, since 1970s. Founder/Senior Trustee, Thorsborne Trust, since 1991. Member, Australian Rainforest Conservation Society, since 1985. Life Member, The Wilderness Society. Life Member, North Queensland Conservation Council. Involved with the Australian Conservation Foundation; Australian Marine Conservation Society; and Conservation Councils in Cairns and Townsville. 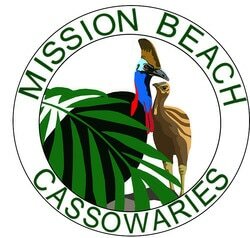 Founding Member, Community for Coastal and Cassowary Conservation, Mission Beach, since 1990. Founding Member, Friends of Hinchinbrook, Cardwell. Current President and Founding Member, Alliance to Save Hinchinbrook, since 2000. Collects botanical specimens for the Queensland Herbarium. Involved in team that collected the Blue Banksia (Banksia plagiocarpa) specimen considered ‘lost’. Co-Founder in 1965 and participant since in the annual monitoring of migratory Pied Imperial Pigeons on the Brook Islands. Co-Author, Hinchinbrook Island: the land time forgot, 1988. Involved with ABC wildlife documentary, Cassowaries. From the Heart - a WTMA publication on the 20th anniversary of the Wet Tropics World Heritage listing celebrating individuals who have contributed significantly to the effort of conservation.